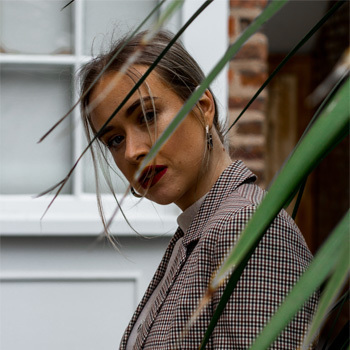 Ok so my first ever ‘style envy’ post, and I want to open it with the absolutely beautiful Lydia, who’s blog was one of the main inspirations for me to begin this one, after months of deliberation. I absolutely adore Lydia’s style, she is incredibly classy, yet it’s all done on a relatively low budget – exactly what we all need! I have major wardrobe envy, and she’s given me the confidence to finally buy a two piece co-ordinate after seeing her absolutely rock so many of Missguided’s wonderful pieces. My second (major) dose of style envy comes all the way from NYC and the gorgeous Lua. I’ve spent the last week obsessively reading most of her blog, and I’ve decided that not only do I want her wardrobe I just kinda want to be her. NYC is probably my favourite place on the planet, and Lua’s style is just so gorgeously grunge that I can’t help but salivate (delightful, I know) over every single piece she debuts on her blog. If you don’t follow her, you’re missing out! So there we have it, my major style envy for this week! I’m still trying to get used to the whole blogging thing, so I apologise that my posts are still fairly brief. I don’t want to go boring you too quickly! I really want some more blogs to follow though, so drop me a comment with your URL so that I can check you out!